In his resignation letter, Principal Hemant Shah alleged the trustees caved in to Right Wing threats for inviting the Dalit leader, a college alumnus, as chief guest for the annual day. New Delhi: The Principal and Vice-Principal of HK Arts College in Ahmedabad have resigned in protest against the trustees caving in to Right Wing threats and disallowing a function that was to be attended by Dalit leader Jignesh Mevani, an alumnus of the college, as part of the college’s annual day function on Monday. 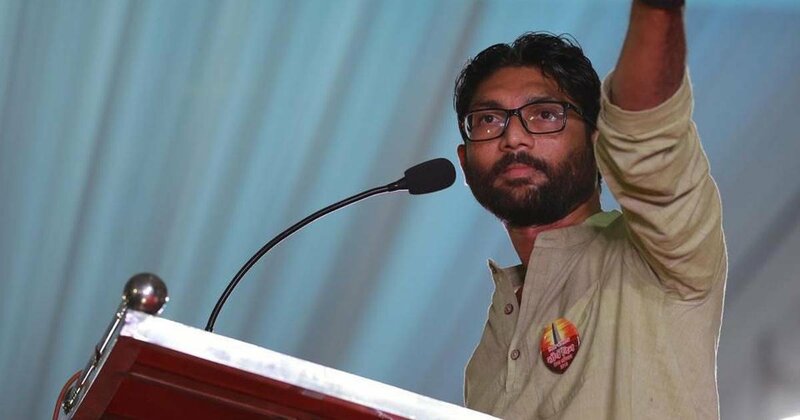 According to media reports, the programme was cancelled after Brahmchari Wadi Trust, which governs HK College, refused to provide a hall for the function where Mevani, an Independent MLA, was the chief guest. The Trust has some Padma awardees as members. Criticising the Brahamchari Vadi Trust, Principal Hemant Shah resigned from his post on Monday, alleging that the trust "compromised on the freedom of expression" and gave in to threats by student leaders of a political party, according to the New Indian Express. The college is said to have cancelled the programme after some of its trustees got protest calls, allegedly from some student leaders owing allegiance to the Bharatiya Janata Party affiliated Bharatiya Janata Yuva Morcha (BJYM), against hosting the Dalit leader as chief guest. Principal Shah, in his resignation letter, said: “It is clear that today’s political environment is strangulating the constitutional freedom and right to expression and speech and this is also getting support from the authorities,” according to The Indian Express. “It is easily understood that the decision to not allow the use of the college auditorium for today’s function was under pressure and open threatening from student leaders from a particular political party”, he added. Scroll.in, quoted a BJYM leader denying any role in the cancellation of permission to Mevani. “We do not believe in such superficial politics,” Rutvij Patel, president of the youth wing, was quoted as saying. Condemning “suppression of thought” in an academic institution, Shah went on to cite many past instances when the college had invited politicians of various hues.